Tired of Low RAM and low internal memory in your Android Smartphone? Many Android users who are using low to mid-end smartphones or older ones have problem of low memory or RAM and thus they cannot enjoy android to its true potential and cannot install some big games as well as application. Thus here we will provide solution to your problem of low memory and low ram in android device. 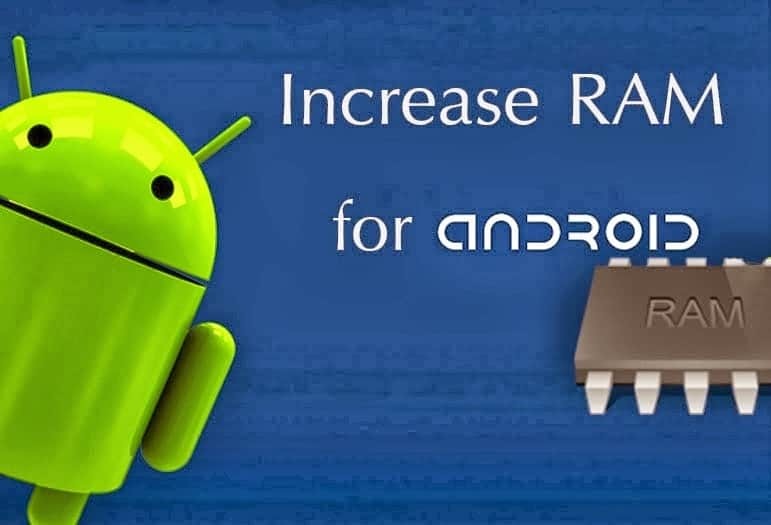 There are several methods and apps to increase ram in android among which best ones I will introduce here. As shown in video , follow the steps and increase your ram easily. In the video at one point, you will need swapper2 and terminal emulator apps in your android so download it from here. In case this method fail , you can follow our manual method below. STEP 1: Your Android Smartphone must supports swapping. Before starting this procedure , you need to check whether your device supports swapping or not. If it supports then only you can increase ram in your device. So use a testing app, MemoryInfo & Swapfile Check, to check for it before moving further. Now Install the Mini Tool Partition Wizard and Open it and format the inserted SD card. Leave around 1 GB of memory for next partition. Click on ‘Done’ and again click on make partition option, select primary partition but this time , change file system to EXT2, EXT3 or EXT4. To link your SD Card with your rooted phonel, we will use Link2SD app. Download Link2SD from the google play store. Launch the app and give root permission. Choose the “.ext” partition. Launch the app and select the amount of RAM you want to increase. This app will create a. swp file which will increase the RAM of your Android smartphone. So , this way you can increase your android phone’s strength by boosting its RAM. If your device is not rooted, you cannot increase ram directly using above or any method but there are many apps which can clean your ram regularly to boost your android phone’s speed. If you want to root your android, click here. This is the best app for boosting android phone which cleans junk data and kills background apps to speed up your device. This is the best optimization app for android which will kill unused battery-consuming apps which runs in the background and eats not only battery but also major part of RAM which results in slowing of Device. So this was our tutorial for boosting RAM in your Android Device. As Promised we will deliver more after rooting tricks. Stay tuned for more fun. If you have any problem regarding any of this, you can comment below or contact us. We are here to help you. hey i have rooted my xioami redmi 2 with help of king root bt now i want to install xposed firmware bt i am scared that if my phone get bricked,?? My friends suggested me not to install expose firmware that it has more chances of bricking my phone?? Another my 13.92gb for other media. Hello, so if I will do it my phone will be able to run apps that requires bigger ram? I mean in part of installation etc.. it will increase also the mirror of Ram totally? I think it’s very irresponsible not to warn users that creating swap space on an SD card will significantly reduce the potential lifespan of any SD card. All SD cards have a limited number of read/write cycles, and RAM access chews these up much more quickly than just reading and writing the occasional file (as most users do). Thanks for this useful info. I have Samsung Galaxy Quattro gti-8552. It does not have swap-compatible / swap-enabled kernel. So, I cannot use apps to expand RAM. Is there any other way to expand RAM? I mean, can I get swap-enabled/swap-compatible kernel for my phone, which can be used without damaging the phone?